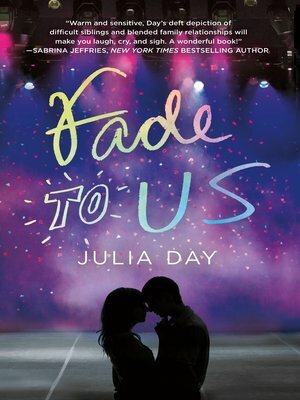 Fade To Us is a story about found families, the bond of sisterhood, and the agony and awe of first love. Brooke's summer is going to be EPIC— having fun with her friends and a job that lets her buy a car. Then her new stepfather announces his daughter is moving in. Brooke has always longed for a sibling, so she's excited about spending more time with her stepsister. But she worries, too. Natalie has Asperger's—and Brooke's not sure how to be the big sister that Natalie needs. When her summer comes to an end, will Brooke finally have the family she so desperately wants—and the love she's only dreamed about?